At Phone Ninja, we offer iPhone 5C repairs at all our stores in Perth. Our loyal customers already know that we offer the best service in the industry, and that you can’t be beat our price guarantee -find a lower price on the same iPhone 5C repair in Perth, and we’ll beat it. It’s really as simple as that. So you get the highest-quality parts available from a professional repairer with over 30,000 repairs since 2009 to their name, and we can even save you money at the same time. While iPhone 5C screen replacements are our most popular repair, Phone Ninja can handle just about any iPhone 5C repair enquiry you have, from camera repairs to battery swaps, and more. When trouble strikes, call us immediately, or drop down to one of our conveniently-located stores in Perth, Western Australia. At Phone Ninja, we pride ourselves on keeping the most commonly needed components in stock at our Perth Stores. That means we can almost always handle your iPhone 5C repairs on the spot, with little waiting necessary on all repairs including Screen Replacements. 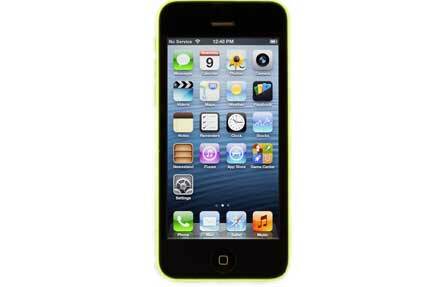 Apple has released several new smartphones and the iPhone 5C is one of the most popular. Available in a range of colours, it’s the ideal phone for expressing your unique personality and sense of style.